FUNDAMAR comprises the employers’ organization, Vessel Owners’ Cooperative of the Port of Vigo (ARVI), and the following trade unions: UGT (Federation of Transport, Communications and Sea of the General Union of Workers, UGT Galicia) and CCOO (Federation of Services for Citizenship of CCOO, FSC-CCOO, Galicia), which represent the majority of the fishing sector at social and economic level in Galicia. 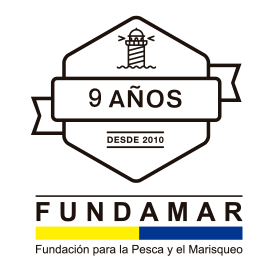 Foundation for Fishing and Shellfishing (FUNDAMAR) which was founded in 2010, is the first organization in the fisheries sector accounting for equal representation for employers organizations and trade unions in their control and governing bodies; and it is open to future integrations of the socioeconomic actors that contribute to initiatives to the sustainable development of the sector. To promote sustainable development of maritime and fishing sector. To facilitate and promote equal conditions to access employment. To promote a Preventive Culture as a competitive factor and to improve quality of life for sector professionals. To promote innovation, development and scientific investigation. To promote collaboration with national and supranational organizations. Studies, publications and campaigns to promote prevention awareness. Projects to promotion of occupation information in the sea fishing fields. 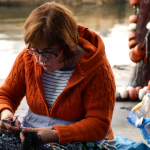 Projects to make more visible the fishing and shellfishing sector. Studies, projects and publications, either monographic or cross-disciplinary, according to the Foundation purposes. To collaborate with national and international organizations of the maritime sector, with similar objectives whatever their scope of activity, both public and private. And all those other activities according to its foundational purposes. People of the sea and fishermen, according to the definitions offered by the ILO, being included the shell fishing workers and any other workers, even self-employed, working or unemployed (temporarily or long-term), immigrants and other groups with low representation and those in risk of social exclusion. Employers of the fishing and shell fishing sector.  Foundation for Fishing and Shell fishing – FUNDAMAR- classified for its labour interest by Law, October 4th 2010 (DOG 4, 22/10/2010), declared of Galician Interest by the Resolution of 15th December 2010 (DOG 249, 29/12/2010) and recorded in the Register of Foundations of Galician Interest with number 2010/13, was born with a clear labour character and with the objective of creating, encouraging, leading and participating in projects aiming at improving the social conditions and productivity of businesses and workers related to or depending on fishing and shell fishing. The government body of FUNDAMAR is the board of trustees. 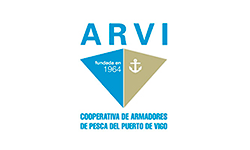 Vessel Owners’ Cooperative of the Port of Vigo ARVI. The Federation of Transports, Communications and Sea of the General Union of Workers named UGT-GALICIA. In the future, any other business organizations or trade unions representing the fishing and shell fishing sector may be included. The adding of new members to the board will require the agreement of the same majority applicable to any modifications of the Statues of the Foundation.